The annual Star Awards 2015 is happening this weekend on the 19th April, and that means you are going to hear the familiar Star Awards jingle every 5 minutes, as long as you are on Channel 8 or Channel U. The main highlight and finale of the star awards ceremony is for the Top 10 Most Popular Male/Female Artistes award. Throughout the 2-3 hours show, there will be a screen that shows the current popular artistes, starting from the Top 20. It will then decrease down to Top 18, then 16 etc. as the show draws nearer to the finale. At every round of the elimination, the camera will pan and zoom to the artistes that are blacked out from the screen (eliminated), and the awkward look on some of them are painful to watch. 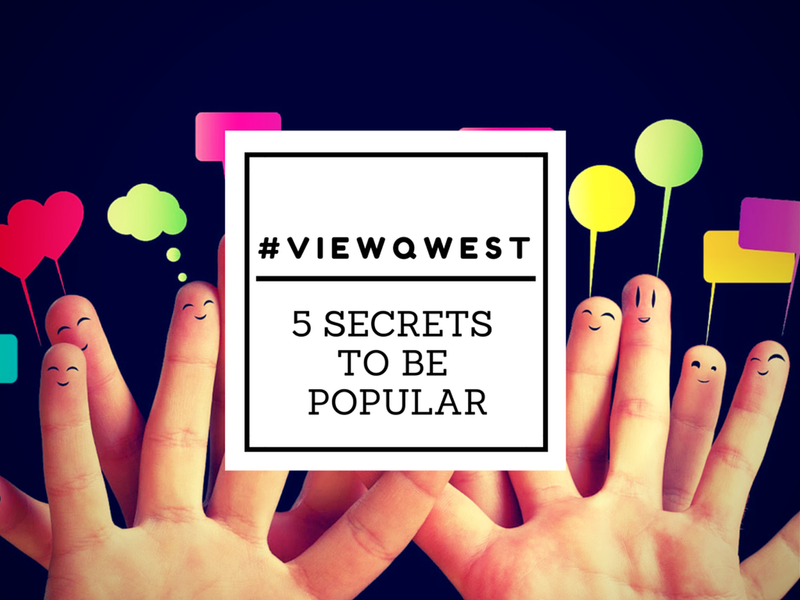 And that inspired me to write up this blog post: The 5 Secrets to be Popular. There is no denying that being well liked can help you get ahead in your career, be it as an artiste or an office worker. Being popular also means a wider social circle, and for those that are single, a higher chance of meeting your Prince Charming and Princess.. er.. Princess.. what is the gender opposite for Prince Charming ar? This might be counter-intuitive, but the keyword is "try". When we are trying to be popular, it inevitably encourages us to offer false flattery and compliments in order to get others to like us. When you are being someone you are not, people can sense it. We have to base friendships on being our natural self, and avoid being fake and insincere just because you want to reach your aim and your hidden purpose. "But I am being myself, and somehow, I am not popular!" Ask yourself this question: If you were to face yourself, would you like yourself? Are you always talking about yourself, or do you respect other people by listening to them? People appreciate those who are considerate of others. In order to be popular, you must be genuinely interested in others and be a good listener. Show empathy and that you understand the person’s world. The more you can connect with people, the more you will remove the barrier between them and you. People will like you because you understand their pain or challenge. If people are in some sort of difficulty that you know you can help with, do lend them a helping hand. Not only are you gaining good karma, you are also making another friend. "Popularity isn’t gained through power; it’s earned by kindness." 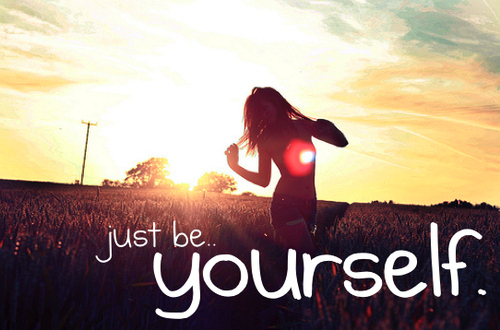 To gain popularity, we need to be self depreciating and not take ourselves too seriously. No one likes a person that is constantly defensive, because you have somehow convinced yourself that being overly serious all the time is a mark of self-value or even self-importance. It is your outlook on life that counts. If you do not take yourself too seriously, you would be able to find the humour in your everyday life. And humour, is one of the most significant attributes that people appreciate in others. In this article by Forbes, they listed down 10 reasons why humour is a key to success at work. And in relationships, having a sense of humour is also one of the top 10 things women find attractive in men. Besides, by lightening up, you are much more able to put others at ease. When people feel comfortable around you, that is when you start to gain more friends and popularity. This Nicolas Cage lol gif is cracking me up by the way! Popular people set the trend: they identify what is the best before other people do. To be popular, you must first take control of your life. Do not settle, but aim for the best. "STRONG FORESHADOWING OF NEXT WEEK'S POST ALERT"
If the internet speed from your ISP has been lackluster, or if you are tired of taking a queue number and wait for one hour just to see a customer relationship officer who might or might not solve your internet problem, then it's time to switch to ViewQwest. There is no need to take a queue number if you go down to their customer service centre, because ViewQwest is a boutique ISP that is customer-oriented with emphasis on attention and responsiveness. Do not take my word on it. Try it out yourself. The extent that they go for one customer is just..... wow. On the hardwarezone thread, you can see the lengths they go to, just to improve the connection speed for one single ViewQwest customer. That, my friends, is the best customer service you deserve to get. Ever since owning a ViewQwest TV, unlocking thousands of movies and drama content, everyone has been coming over to my house to catch up on their movies or the latest Korean dramas, legally. If I were to charge a dollar for everyone that has since came to my house JUST TO WATCH ViewQwest TV, I would be a millionaire. But that also means that by having a ViewQwest TV, I have more people coming over to my house - I now have more chances to interact with my friends and family. And when your house is lively - your friends, your parents, your loved ones are all happy - you will find that the true purpose of being popular is to have people that you can share your happiness, sorrows, and an awesome ViewQwest TV with. Now, go support Chen Tianwen in the Star Awards this weekend for his hilarious getup in the viral Un un un unbelievable Music Video!